After Black Friday is over, Rhode Island Gov. 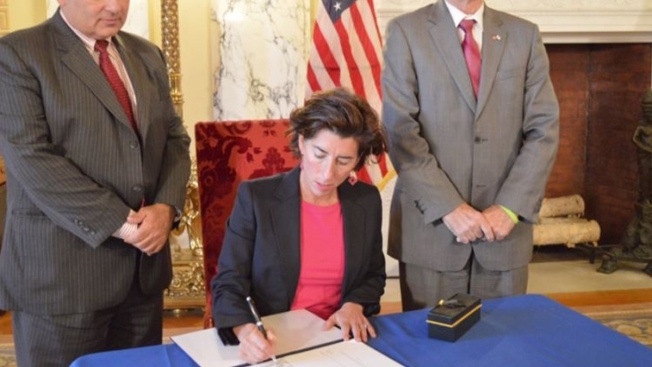 Gina Raimondo plans to shop locally to support the state's small businesses. The Democratic governor is promoting this weekend's "Small Business Saturday" with the Small Business Administration. She's scheduled on Saturday to visit Barrington Books in Cranston, The-Sew-Op and the ImPressed Olive in North Kingstown, and Finishing Touches and the 401 Studio in Wakefield. Her schedule is subject to change. The SBA says there are more than 96,000 small businesses in Rhode Island, making up about 96 percent of the state's businesses. Raimondo is visiting the local shops to encourage people to do the same in their communities on the busiest shopping weekend of the year for many people.